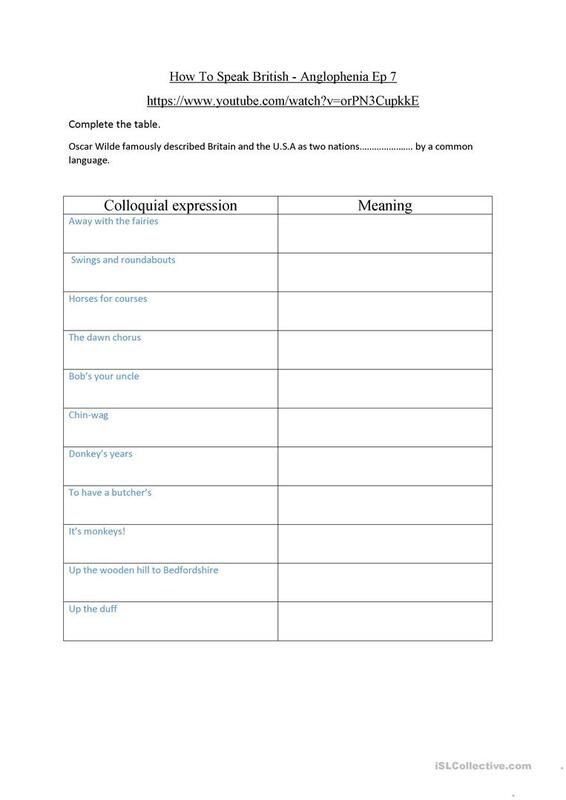 Watch the video, regarding British expressions and complete the table, where you have the colloquial expression but not the meaning. This downloadable printable was created for high school students and adults at Intermediate (B1), Upper-intermediate (B2) and Advanced (C1) level. It is great for consolidating in English, and was designed for strengthening your groups' Listening skills. It is about the topic and words of American/British English.